We are the premier automotive locksmith in Plano, TX. We have built a solid reputation as the most trusted and dependable service provider for your car or truck, solving any lock problem reliably, quickly and honestly. When a problem with your car lock or key hinders your ability to perform everyday tasks, it’s important to find a professional in the surrounding area with a reputation for dependable and honest service. That’s why Plano Locksmith Pros is the right choice when you are looking for an automotive locksmith professional. With years of experience at hand and competitive pricing, there is no reason to look anywhere else. Many modern vehicles have extra security features which make simple key replacement and duplication a thing of the past. In many cases, this is going to be in the form of a chipped key or transponder car key. While this prevents thieves from easily starting a car or truck, it can be a hassle to deal with if this feature stops working properly. What’s worse, car dealerships charge high prices and impose long wait times, while working limited hours. Not to worry, we can have our mobile team of skilled technicians meet you on-site with a 30 min response time. We have the high-tech tools of the trade to handle transponder key programming quickly and to get you back into your vehicle. We understand the value of your time, and that is why our expert technicians and skilled locksmiths are trained to handle car lockouts fast. Whether you need to unlock trunk and car doors or address a complex ignition switch repair and replacement, we are ready to be of service. You see, we have a deep knowledge of all makes and models, both foreign and domestic. Whether the issue is car key extraction or car key cutting, we will provide upfront and transparent models. Our complete locksmith service in the area includes the repair of car key fobs and remotes. These important accessories can often mean the difference between a usable vehicle and a stranded motorist. We also have expertise in alarms and remote engine starters and lock/unlock features. Plus, all of our technicians are licensed, bonded, and insured with 5+ years experience. This means you will encounter fast and friendly professionals ready to produce car keys and new spares. And don’t forget, smart car keys should always be handled by professionals to avoid future hassles or mistakes. Laser cut keys provide a superior level of protection against casual hot-wiring. Ignition systems that use laser-cut require keys produced with extreme precision. If you are locked out, we have the necessary tools and skills to get you a new key quickly so you will be back on the road in no time. Additionally, If an ignition system is being replaced, then you may want to consider upgrading to this highly secure system. This is a service we provide that is not generally available at retail stores and other key duplicators. There really is no job too small or large for us as the premier automotive locksmith in Plano. Through the years, we have seen the best and the worst in the industry. 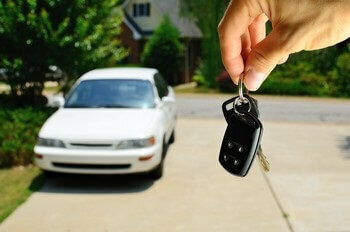 From car key duplication to broken car keys, we will provide up-front pricing for your particular vehicle’s needs. You may need to replace lost car keys or broken keys and we can handle that with a smile. 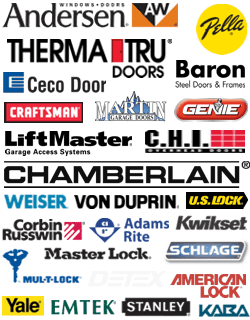 Automotive Locksmith https://txplanolocksmith.com/automotive/ 4.2/5 based upon 19 reviews.